If you're one of those people who just love their gadgets in pink, Swedish phone maker Doro 's latest cordless DECT phones could be just the ticket for your home. The Doro 525 Pink is intended to combat the 'dull-looking' phones that most of us have in our homes, the company says. It's given the normally grey or black home phone a pink makeover. In a press release, Doro quotes some YouGov research pointing to the fact that 71 per cent of UK homemakers regard the current range of home phones as 'forgettable' 'dull' and 'outdated'. Women were more likely to favour 'funky' and 'cool' home phones, whereas men preferred 'high-tech' and 'advanced' devices. 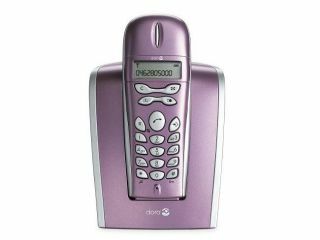 The new Doro 525 Pink DECT phone aims to "inject a burst of vibrant colour and style into UK homes", Chris Millington, UK company manager at Doro, said. The handset is supplied with batteries, which provide 100 hours standby and 10 hours talk time. The range from base is 300 metres outside and 50 metres indoors. It comes with six pre-installed ring tones, and features including redial memory, caller ID, adjustable ear and ringer volume controls, keypad lock for added security and a pager function. The Doro 525 Pink is available through Currys and Currys.digital stores for £40. There's a web only offer through Currys' website, where the phone is on sale for £30. You can also purchase the handset online at www.currys.co.uk for a web exclusive price of £29.99.